Make your family’s visit extra special with a Cabana & Premium Meal Service! Cabanas include a ceiling fan, locking cabinet, a table with four chairs, two chaise lounges, plus a mini-fridge, stocked with eight bottles of water. Riverside Retreats include two shaded chaise lounges and a small table and are located on Bahari River‘s island. Click here for Riverside Retreats details and pricing. 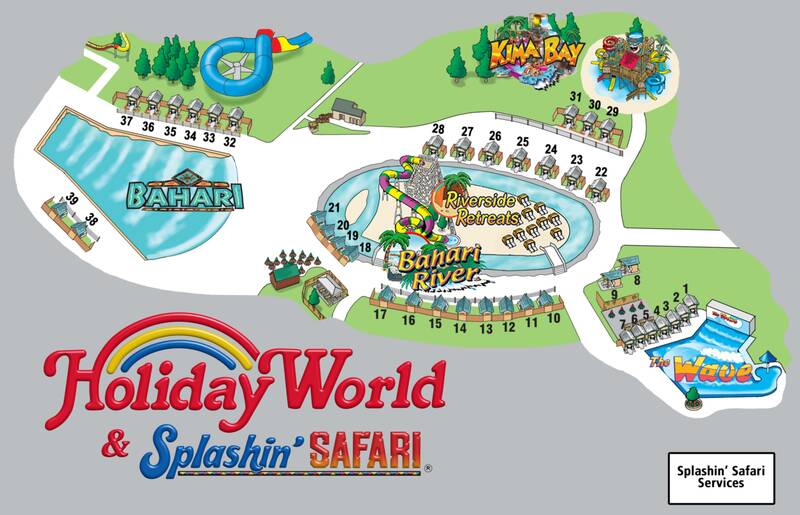 Rental units are available during Splashin’ Safari’s hours of operation on the day of your visit. Cabana rental includes 8 wristbands. 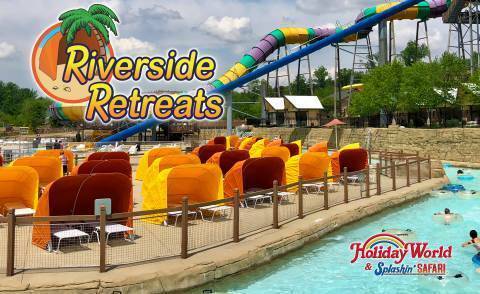 Riverside Retreats rental includes 4 wristbands for access to private area. Regular park rules apply; please do not bring food or beverages into the park. To select a specific Cabana for your visit, be sure to place your reservation on a desktop computer. We will make every effort to honor your specific request; however, we cannot guarantee placement. (Please note some location numbers have changed from last season.) When using a mobile device, the next available unit will be reserved.